As mobile devices age and newer technologies come into the fold, it becomes increasingly less viable for their makers to continue supporting them. Older hardware components lose ubiquity and become expensive to produce, leading vendors to eventually halt support and repairs. In the case of Apple, products hit vintage / obsolete status five years after manufacture has ceased. With the iPhone 7 and 7 Plus duo now just around the corner, six-year-old iPhone 4 will join the ranks of the obsolete in just over a week's time. The iPhone 4's launch, as you may recall, was somewhat marred by the infamous Antennagate scandal. Early adopters found the device would lose signal to the point of dropped calls when held a certain way. One disgruntled user emailed then-CEO Steve Jobs to complain about his iPhone 4's loss of reception when touching the outer metal bands. This prompted the late Apple co-founder to reply with one of his most famous-ever quotes: "just avoid holding it that way". Despite the drama, the iPhone 4 was a huge success for Apple, and a true landmark in the design language of the range as a whole. Even the iPhone SE, which is only but a few months old, borrows many of its aesthetic traits from an undeniable classic. 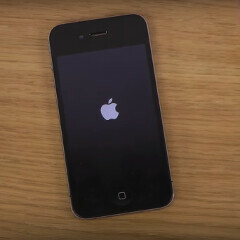 As of September 13th, the iPhone 4 CDMA will gain obsolete status, meaning that neither Apple nor its verified repair partners will service the device. The exception is California, where Apple is required by statute to offer service for another two years. For everywhere else in the world, this model will soon become an official Cupertino relic. Are any of you, our wonderful readers, still rocking that iPhone 4? Let us know in the comments. What's to doubt? Have you used an iPhone 4 recently? I have an iPhone 4 that's jailbroken and runs perfectly fine. Find me a 2010 Android phone that can even power on, much less be usable to any extent. My old galaxy S2 still works like it did new, and it's just as slow, compared to everything now. I turn it on every week or two to just see what it's deal is, then off again. My gf's iPhone 4 was working great as her driver till a drop smashed it some months ago and she finally went iPhone 6 plus. Both of those phones were pretty great, in retrospect. My Galaxy S (gt i9000) still runs with root and cyanogenmod 10 (jellybean) with 4 days original battery life, so shut up. Ehhh, my Pops still rocks his iPhone 4. The reason he won't upgrade is because is still does run pretty smooth. I use a 6P as my daily and I use his 4 sometimes just to play a fishing game he likes to play, and I've got to be honest... It's still pretty smooth for how old it is. Don't think so, there is no chance after iOS 7 that it runs "fine" by any standard. Plus, the home button and power button are normally dead by year 2 on most iPhones. My Nexus 4 though, with marshmallow, runs better than day one and will likely run like this for the rest of its lifetime without needless crippling updates. My parents using my old 4s and never had any hardware issues. "Power button usually dead after 2 years?" - Got Proof?? That's better support than most Android OEMs who tend to abandon phones after some time. This article has nothing to do with IOS or software support though. This has to do with hardware components. What is he slow about? View the first comment. Its already invite Android fan base in to troll back. Its fun for some people I guess. How about you address after sales "Hardware Support" of a 6 year old device as that's what the article is about. I think that was software support for IOS though. This new report is hardware related. ....... All right. Very good. That's a long run. Good job. Mine still works to this day. Makes a good iPod. Once state of the art and lust worthy, but now super ugly and hard not to cringe when looked at. Where have the years gone, remember Summer of 2010 like it was yesterday. Completely agree. What's more, I actually think the older models (3GS, original iPhone etc) are more aesthetically pleasing than the iPhone 4, even though I didn't think so when the 4 came out. Maybe that's just how the mind works -- very new and very old stuff is exciting, while everything in the middle just sits in the garage. You are 100% percent right, when you look back at the 3GS it seems to fit it's era really well, even till this day, but there's just something about the iPhone 4 that feels off. But boy the first time you ever saw one live or held it, it was a thing of beauty, that Retina display was something else. But have you noticed for some reason boxy and straight edge things, be it cars or phones don't age well, they look great when they are brand new but over the years they appear to be older than the curved products they succeeded. My dad bought the redesigned Caprice in 2001, was a beautiful design, a few years later they replaced it with a more boxy and straight edge design in 2003-4 and at its time it looked amazing, but now when we look back, our curved version looks better to us and the boxy one feels like it was an older model. It's interesting how curved and straight edge trends come and go in human products. Yeah, you're onto something with the curved theory. I guess hard lines and corners accentuate the particulars so when a design drops out of fashion, it looks especially ugly. On the other hand curves are arguably more neutral, so less likely to cause offense when we look back at them. This probably also explains why the iPhone 7 might include a glossy 'piano black' color to go with the curved corners.. rather iPhone 3G(S)-esque, you might say. Not all curvy devices age well, but I can't imagine looking back at the iPhone 6s / HTC 10 / Samsung Galaxy S7 edge in years to come and seeing anything but gorgeous design. Let's hope companies don't go revert to boxiness any time soon!